Home » Credit » Loans » Save Money » How to Save Interest On Your Credit Cards Balance? You have received the credit card bill for the smartphone purchased last month and the payment of the bill has become due. If you are not having enough money to pay, you are given an option to make payment of minimum amount due instead of the total bill by the card provider. Most of the buyers who use credit card to purchase high priced goods face this situation once in a while. If you prefer to live on credit cards spending and don’t know the ins and out of credit cards, you are more likely to jeopardise your financial planning as the higher rate of interest charged for the unsecured credit card debt is going to cost you dearly. There is no doubt that Credit card is an easy alternative of carrying cash for shopping as well as for emergency purpose, but if you do not use your credit card wisely and falter on timely payments, it can spoil your personal credit reports. Most credit cards offer interest free periods on purchases from the date of purchase to pay your bill. This can be a great way of saving money on interest if you are buying an expensive item. The grace period usually varies between 45 to 55 days depending on the card you have. To avail this, you need to check the billing cycle i.e. the period of your bill. The interest free period will usually start on the first day of the new billing period and if effectively used it can give a benefit of interest free payment upto 55 day on your purchases. If you wish to save money on credit card interest, most important thing to remember is to pay off your balance in full at the end of each month. While it can be easy to only pay the minimum amount payment, you will only be paying off the interest and not your actual debt. Most credit card companies are charging hefty interest rates from 24% to 36% annually on the balance debt in your card. When you pay off your balance, you won’t have to worry about interest accumulating – and your credit card will be all the more healthy and improving your personal credit history. It is always advisable to make payment of your credit card bill on time and at least two days before your payment due date in order to get your payment cleared. 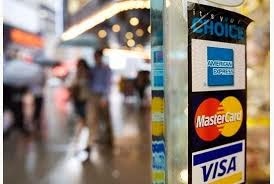 By this way you can do lot of savings on credit card balance as all the credit card issuers charge interest on balance as well as late payment fees which is usually quite high. You should know that credit card companies are not gaining from those customers who are paying on time but those who miss their payment due dates. In addition to making minimum payments on all cards, pay more on the card with the highest interest rate, so you pay off the total amount on that card first. Then work your way through your other cards. This will save you the most money. Keep making minimum payments on all cards, and pay more on the card with the smallest debt, so you pay off the total amount on that card first and make it debt free. If you are having a couple of cards and are not comfortable of paying the credit card debt in one go, one way to start on paying off your credit card debt is with a balance transfer credit card. These days almost all the credit card issuers are offering balance transfer facility to the existing card holders. By transferring the balance of your existing credit card with a new balance transfer card, you will pay less interest, and can start paying off more of your debt and increase savings. Try to choose a balance transfer card that offers the lowest interest rate for the longest period of time. There is a wide range of introductory offers available on many credit cards for purchase of expensive consumer items. If you want to save money on interest, check out intro offers on purchases. With this type of offers on card, you will pay low or no interest on purchases for a certain period of time. As with balance transfer offers, be sure to pay off your debt before the offer period ends. Always try to find the cards which have no frills attached to it such as rewards points and complimentary insurances. They are usually a cheaper way of getting credit especially if you tend to carry forward your balance month-to-month. Finally, stop using all of your credit cards except one, and try to only use it for emergencies. Keeping many cards may tempt you to make purchases on impulse which you may not need and add to your debt. Dispose off the card by cutting it up and close the account by contacting your card provider. This is important because if you just cut up the card , you may still have to pay fees, even if you are no longer using the card. By using above tips, you can do a lot of savings on your interest payment and increase your personal credit report to improve your personal credit history for your future financial transactions. If you found this article useful, reach out and like us on facebook.